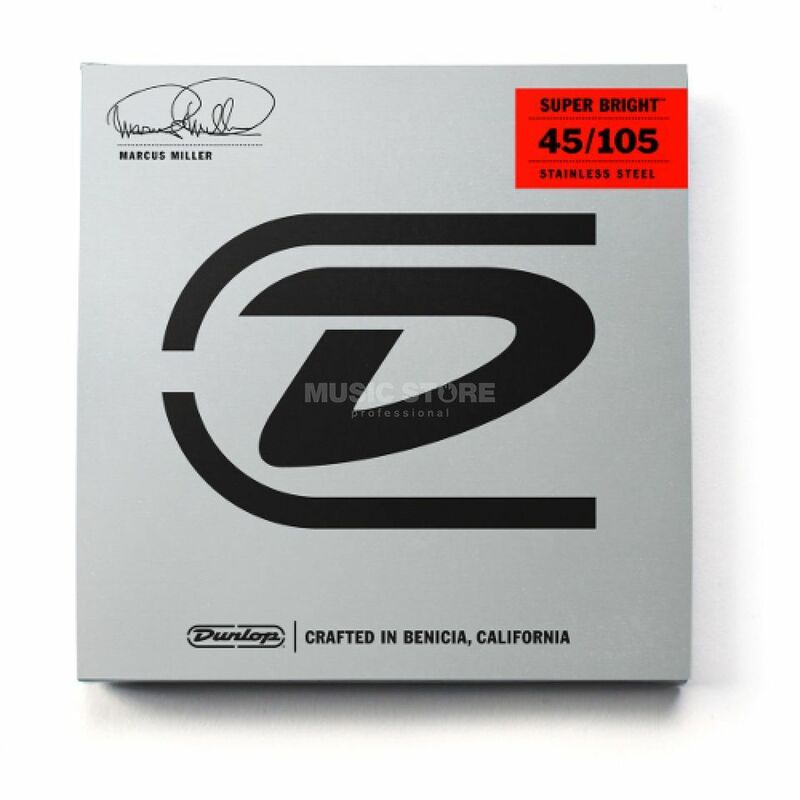 The Jim Dunlop Miller 4-String Bass Guitar Strings is a set of 4-string bass guitar strings, featuring a super bright sound, 045-105 gauge, roundwound, and are Marcus Miller signature. The Miller bass guitar strings are based on the new Super Bright formula Dunlop developed to make clear and assertive strings with a voluminous and powerful bass foundation. The Marcus Miller Super Bright feature a lower tensile load and thus a superior response to match shades. The smooth, soft feel ensures a high playing comfort. The durability and the superior coordination of all strings are further arguments for these special strings that draw out the natural sound character of the bass.